The Deathstalker Leiurus quinquestriatus contains the subspecies Leiurus quinquestriatus quinquestriatus and Leiurus quinquestriatus hebraeus. The species has a wide range from Africa (Algeria, Chad, Egypt, Ethiopia, Libya, Mali, Niger, Somalia, Sudan, Tunisia) to Asia (Iran, Iraq, Israel, Jordan, Kuwait, Lebanon, Oman, Qatar, Saudi Arabia, Sinai, Syria, Turkey, United Arab Emirates, Yemen). African populations of this species correspond largely to the subspecies L. q. quinquestriatus while those of Asian populations to L. q. hebraeus. 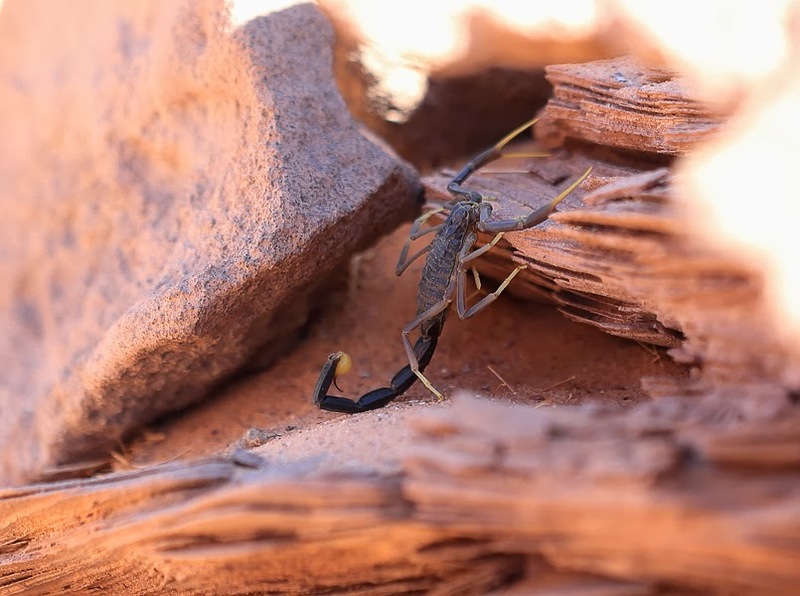 The Deathstalker is found upon a wide variety of substrates in arid & semi-arid regions. This species is a retreat generalist and will modify and occupy existing spaces under ground cover and debris. 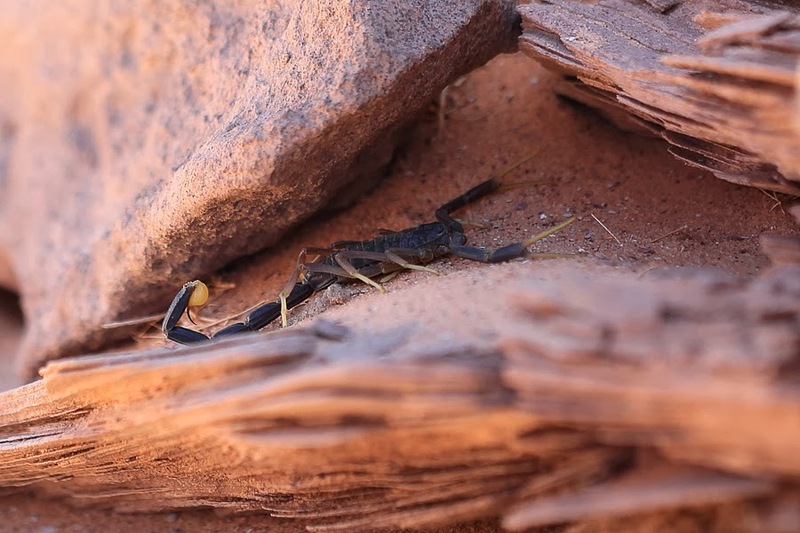 It may also adopt existing burrows of other invertebrates and small vertebrates, as well as excavate shallow burrows under rocks to 20 cm in depth. Adult specimens are 80–110 mm total length and typically have a yellow to orange-yellow colour. The metasomal segment V typically has a dark coloration restricted to the posterior 2/3 of the segment with the amount and intensity of the dark coloration varying among specimens. Older specimens may be darker in overall coloration and the dark coloration of metasomal segment V faded, reduced or indistinct. 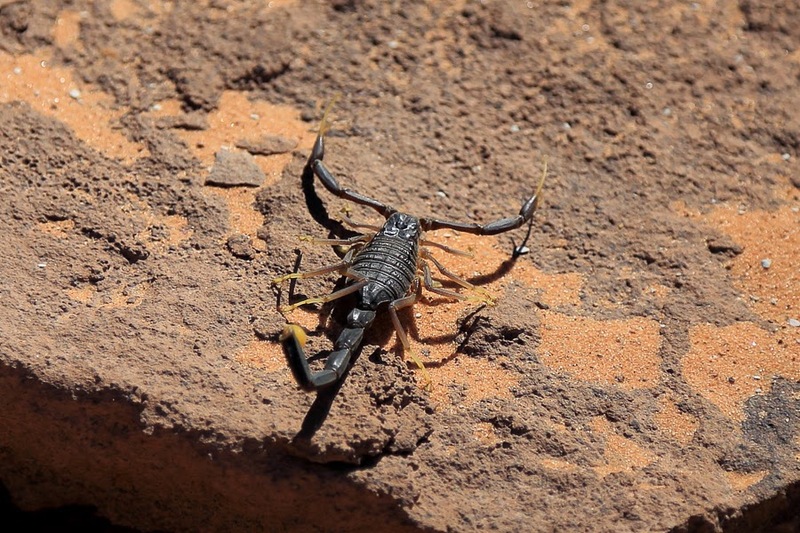 Reported toxicity levels indicate that this species possesses one of the most toxic venoms described in scorpions. 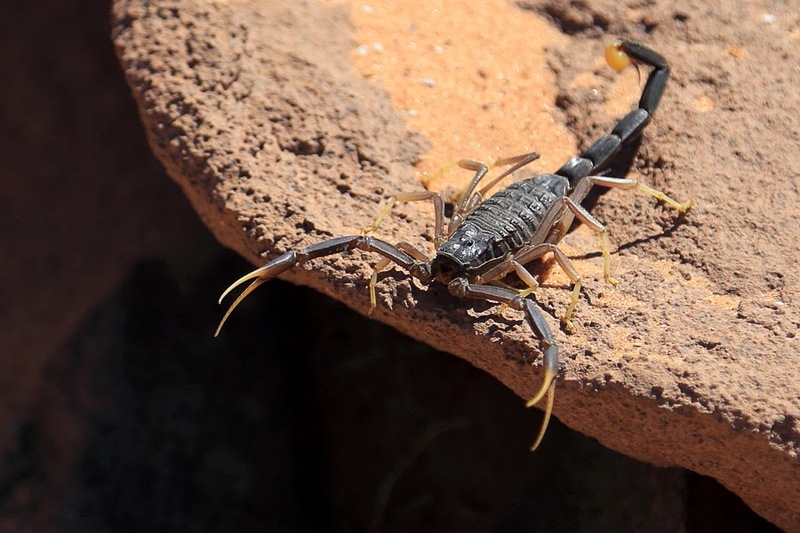 Despite this the majority of stings produce only localized effects in up to 97% of victims which is probably due to the average quantity of venom injected (0.225 mg) being small. However, the venom of this species may be fatal in infants and children due to the effects being weight-dependent but fatalities are uncommon in adults. 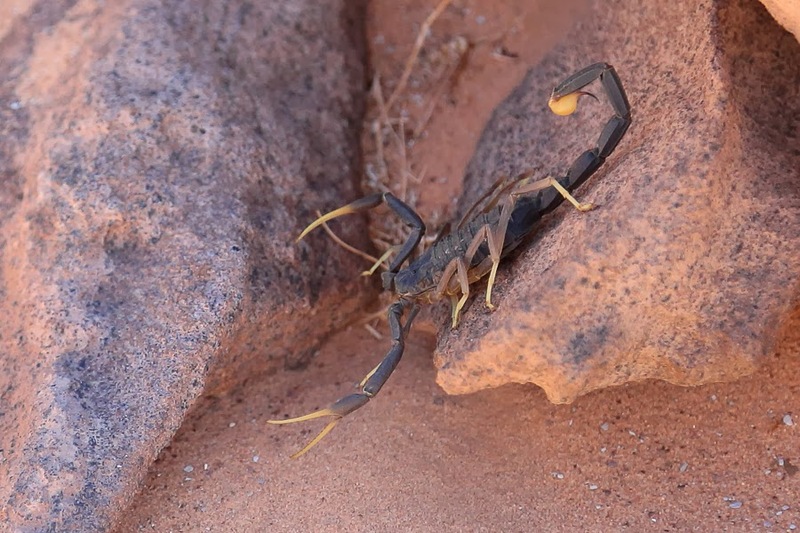 This scorpion was found by Viv Wilson in the desert near Tabuk and Viv has kindly allowed me permission to use his excellent photos on my website which are shown below. This is Leiurus jordanensis (Modry 2002) its record from South Jordan,Tabuk and Al Jouf .